Social? Love the outdoors? Then this is your best option. Volunteering at a summer camp is a great way to stay active while cranking out those service hours. The great thing about this is that camps are everywhere – in both rural and urban settings. You won’t have a hard time finding people eager to have your help. Make sure that your school recognizes this form of volunteering. In some cases, summer camp counselor positions are paid, but you can elect to receive school credit instead. As you read this, millions of Americans are going hungry. The good news is you have the chance to truly make a difference. Check out this site to find a food bank in your neighborhood. Volunteers usually help out with a variety of tasks, which can include cooking, serving food, and cleaning facilities after meals. This nonprofit believes that everyone deserves a safe environment, regardless of race or religion. It builds houses around the world, providing residences for people in low-income areas. Check out this page to learn more about Habitat for Humanity’s volunteer programs. The organization has opportunities domestically and internationally, so you can choose how far you want to travel. Be aware that volunteers are required to cover their own travel and board expenses. Check to see if your school has a Habitat for Humanity club on campus. If so, you can travel with other students and schedule trips over school vacations to make them more convenient. Love animals? Want to play with cute dogs and cats? Volunteering at a local shelter allows you to do so while you rack up service hours. Each year, thousands of animals are rejected by their owners and left without homes. Most shelters are frequently looking for volunteers, but you might need to undergo training first. If you’ve never had a pet before, this is your chance to show some much needed love to tons of very deserving animals. This is also a great resume-boosting opportunity for anyone interested in veterinary or animal sciences. With locations in all 50 states, this organization works to preserve everything from grasslands to coral reefs. If you’re interested in conservation, consider volunteering at your state’s branch. Or apply for a position abroad – The Nature Conservancy has initiatives worldwide! Click here to learn more about how to get involved. This is a great opportunity for girls who want to go into the medical field someday. Hospital experience looks great on your college applications and future work resumes. Plus, helping patients feel better will give you a major mood boost too. Hospital volunteers can be tasked with a broad spectrum of duties, ranging from administrative work to cheering up people in the hospital rooms. It’s important to have a great work ethic and a positive attitude. If you want to work with younger patients, contact a children’s clinic. If you’re having trouble finding a volunteer job, head to your city’s community center for loads of possibilities. If your city doesn’t have its own, you can go to a neighboring town instead. Since community centers don’t receive extensive funding, they often rely on volunteers to keep things running. Since this is usually the case, the nearest center will probably have last-minute openings for volunteers. You might have the opportunity to teach swim classes, check in members at the front desk, or even tutor elementary school students. 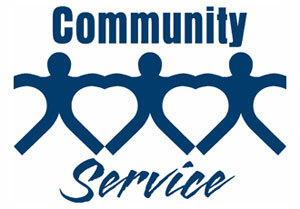 Responsibilities vary based on classes and services that the community center offers. Student Kristen Pye discovered an enriching way to help kids in her community: “I volunteered for a year with a multi-cultural youth group and it was an amazing experience. Many cities establish these groups to help recently landed immigrant youth make a smooth transition into, what for many, is a strange new culture. As a volunteer, it’s an eye-opening, while also fun, way to learn about other cultures, work with kids, and do good!” Make sure you show commitment and take your assignment seriously. Chances are, you’ll get first pick for the next round of volunteer jobs!